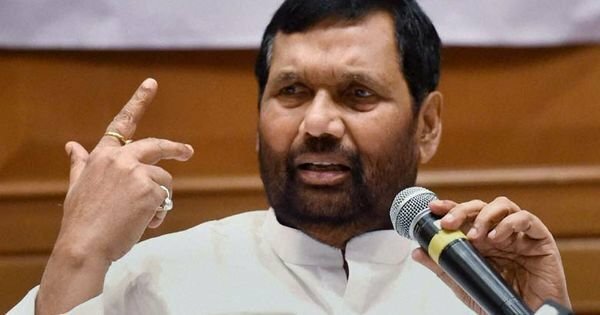 In a bid to stop sale of bottled water and cold drinks at more than their maximum retail price(MRP), Consumer Affairs Minister Ram Vilas Paswan has warned that it could attract heavy penalty and jail term. The Minister was addressing an event commemorating the 47th World Standards Day on Friday in Delhi. He said that packaged drinking water is sold at price 10-20% higher than their selling price in some places and sometimes they don't even mention MRP, reports The Times of India. According to the law, one can be punished with a fine of Rs 25,000 on the first offence and Rs 50,000 on the second. For subsequent offences, a fine of Rs 1 lakh can be imposed which could also lead to a jail term. Paswan said that water bottles are mostly sold at higher rates in airports and multiplexes despite court orders. He urged consumers to be more aware and file complaints. "Consumers need to be more aware and file complaints. If there is no complaint, how can we take action? ", the minister observed. Earlier in February, the apex consumer commission had imposed a fine of Rs 5 lakh on a multiplex in Jaipur for selling packaged drinking water at more than maximum retail price and dismissed its plea challenging a state commission order penalising it.